Planning to travel overseas? Our trip planner will help you do the work now to ensure you have a wonderful, relaxing or exciting holiday - depending on your travel style. This is the first of our travel tips, because if you don’t book the right kind of holiday, you won’t come back refreshed. It’s easy to get carried away by the images on a resort website, but will you get itchy feet after a few days by the pool? What’s your travel style? Your ATAS travel planner should begin with this question. Does your style match the others you’re travelling with? If you’re based in one spot, will you be able to easily explore the whole region from there, or would it be better to move on to a different base for the second part of your holiday? Similarly, cruise ships and trains look amazing when you plan a trip, but will you get restless after a few days of being on board? Make sure you choose a journey that has plenty of stops so that you can disembark and explore, with guided tours available to make the most of your time. If you plan a trip that involves multiple stops, allow plenty of time on the days you transfer. If possible, ensure you arrive at the new destination with enough time to check in and relax before dinner. Your ATAS travel advisor will be a great help with this aspect of your trip planner. Be ready for anything. Delays occur - this is the nature of travel. Just go with it and if you get stuck somewhere, make sure you have a good book, tablet games or spending money to go shopping. One of the best travel tips is to check TripAdvisor before booking your accommodation. If you’re the sort who likes to chill out in the hotel, make sure the facilities have great reviews! 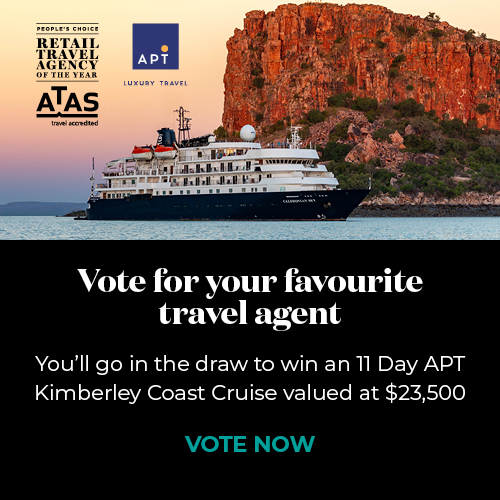 Or ask your ATAS travel agent for recommendations for where they have stayed or had other clients stay with great feedback. Location is vital - being able to stroll to fabulous restaurants can make all the difference to the quality of your stay. Or you may prefer a quiet location away from the tourist crush. Check the locality. When you book a hotel, be clear about the bedding configuration you want, and double-check with the hotel to make sure this is what you’re going to get. Putting in a request for twin beds, for example, doesn’t mean you’ll get them. Often requests are subject to availability. Consider AirBnB or homestays for a more ‘living-like-a-local’ experience. But again, check the reviews carefully - this is where you’ll find out what it’s really like. Most tickets are electronic now; however, it’s a good idea to print off your travel tickets and itineraries. It’s much easier than fumbling through your phone, especially if you can’t access wifi and occasionally a hard copy is requested. Add a reminder to your travel planner to check- in online to reduce waiting time at the airport, and track your flight using an app such as FlightStats in case of delays. It can be very frustrating to arrive at the airport only to find you could have had an extra hour at home or in your resort. Your ATAS travel advisor will have great travel tips, such as adding stopovers to your journey. A number of airlines offer stopover accommodation deals and some will allow more than one stopover at no additional charge. Round-the-world fares are another great option for a multi-destination trip, and significantly cheaper than booking individual flights. Note that in the US, internal flights can add quite a bit to the overall cost, so ensure you’re always travelling on international flights when you move from one city to another. Your ATAS travel advisor will help guide you through flight itineraries. These three items are essential for your travel planner. Make sure your passport has at least 6 months validity, and if you need to renew it, allow at least 6 weeks. Check with the embassy, high commission or consulate for the country or countries you’re visiting to find out if you need a visa and be aware of any time limits that apply. Be careful if you purchase a visa online - there are a number of scams out there! Also check whether a fee is payable on arrival or departure, and ensure you have the correct amount in the right currency. Keep copies of important documents such as your passport, visas and drivers licence in a safe place separate from the originals. To find out what inoculations you need, visit the Travel Doctor. Do this well ahead of your trip because, for some destinations, a series of inoculations will be required over a period of time before you leave. There are some good online travel insurance options, but do check the cover and excess carefully. Compare two or three before deciding, and make sure the policy is underwritten by a reputable company. Your ATAS travel advisor will be able to help you with insurance too. Also if you plan a trip that involves self-driving, consider adding rental car cover for the excess, which can be very high. Obtain an international drivers licence before you leave too, and check the local road rules. You will also need additional ‘snow cover’ if you’re planning to ski or snowboard. Consider a prepaid travel money card that can be loaded up in local currency at any time and used as you would a normal credit card. This saves you the foreign transaction fees, which can be hefty over a period of time. Keep in mind Note that it can take a few days for a transfer to appear on your card, so plan ahead to ensure you have enough funds. Some banks offer international benefits on your existing debit card; check which ATMs you should use in each country. Purchase some cash before you leave so that you don’t need to stress about money as soon as you arrive. Add a reminder to your trip planner to let your bank have your travel dates, or you may find your cards have been cancelled because of apparently suspicious overseas transactions! International roaming is cheaper than it used to be, now from around $5 a day - only charged on the day you use it. If you’re travelling with a friend, alternate the days you use roaming to halve your costs. Use WIFI as much as possible. You’re on holiday! So now’s the time to take a break from your phone. The only reason you might need data when out and about is to access maps or apps such as Find My Friends if you’re exploring independently for a while. Remember to take an international adaptor for your phone charger. Take layers in neutral / coordinating colour so you can mix and match. If you plan a trip to somewhere warm, you might still need closed shoes for certain activities or long walks, and a jumper in case it cools right down in the evening. Take a change of clothes in your carry-on bag in case your checked in luggage is delayed. Not sure what to pack? Use our handy packing checklist. And remember - there are shops in every destination, and equipment such as snow gear can be hired. So you don’t need to pack for every contingency. Are you ready to plan a trip? Find your local ATAS accredited travel agent here and ask them to help you with your trip planner and the best holiday deals for you. Find more travel tips here.